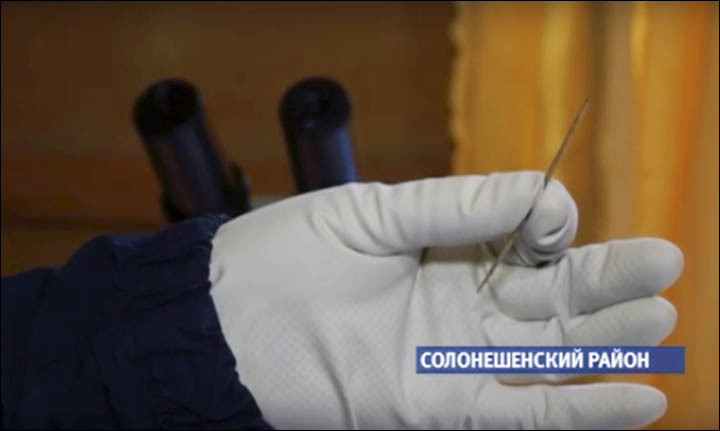 Researchers excavating a Siberian cave have made yet another fascinating discovery as they have found a 50,000-year-old needle that was not made by Homo Sapiens. In previous excavations, archaeologists excavated a bracelet which dates back some 40,000 years made with a precision worthy of the best jewellers today. The 7-centimeter long needle was excavated in the Denisova Cave located in the Altai Mountains in Siberia. The enigmatic needle is believed to have belonged to our long extinct Denisovan ancestors. The enigmatic needle is believed to have belonged to our long extinct Denisovan ancestors. It seems that ancient people had in their possession much more advanced technologies than what we ever imagined. The discovery was made during the annual summer archaeological dig. The Denisova cave is considered by many as an archaeological gold mine that holds the secrets of mankind’s origins. Strangely, even though the needle was created over 50,000 years ago it’s in excellent condition and still usable TODAY. Interestingly, before the 50,000-year-old needle was excavated in the Denisova Cave, the oldest known needle was discovered in Potok Cave in the Eastern Karavanke, Slovenia, and is believed to have been created some 47,000 years ago. Artifacts recovered from the Denisova cave indicate that the ancient Denisovans were far more advanced than researchers thought possible. Previously, researchers uncovered fragments of jewelry and a fascinating modern-looking bracelet made of chlorite. After analysis, researchers concluded that one of the holes seen in the bracelet was made with such precision that it could only have been created with a high-rotation drill similar to what we use today. According to researchers, the newly discovered needle predates the bracelet by some 10,000 years. 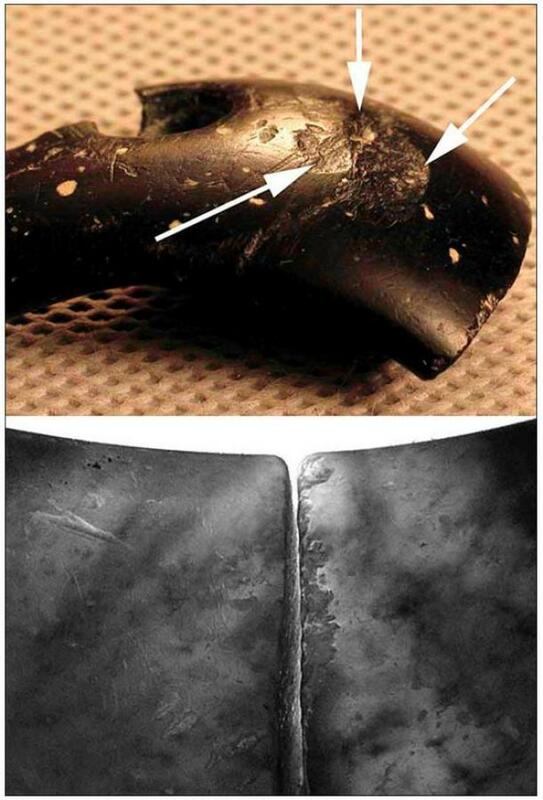 The piece of jewelry has been catalogued as the oldest piece of jewelry ever found on Earth. The bracelet was found with other objects such as extinct animal bones and another artifact that according to researchers, date back 125.000 years. This incredible item was discovered in 2008, and after extensive analysis and tests, experts have been able to confirm its age. The enigmatic cave is believed to have been inhabited by different ancestors including Homo Sapiens, Neanderthals, and Denisovans. Experts estimate that the cave is at least 288,000 years old.